Star Super Smash Bros. player Juan “Hungrybox” Debiedma won first place in the fighting game’s Dreamhack tournament this weekend, making him the first American Smash pro to do so on European soil. The post-game interview he gave immediately after winning quickly turned personal. HungryBox is known in the Smash scene for his formidable Jigglypuff skills, and he said in the interview that he felt some pressure going into the tournament both because of his unique character pick and the fact that he wasn’t playing on his home turf. But the biggest pressure he felt came from his father, who recently died. The Smash star recalled how his father had never truly supported him or his eSports aspirations while he was still alive. 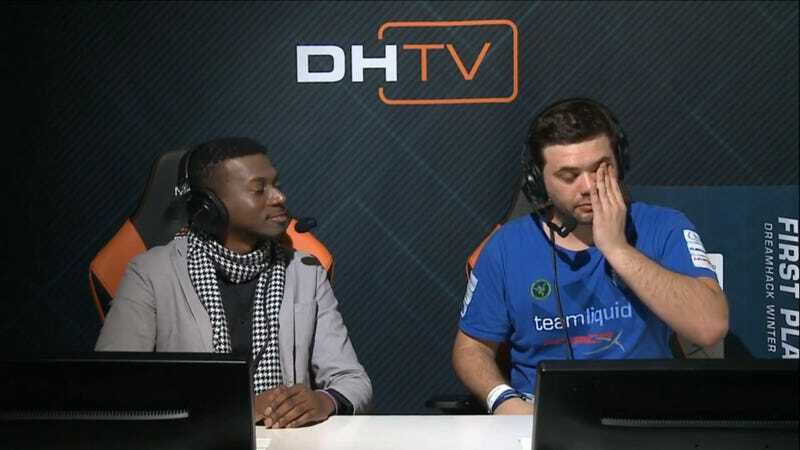 HungryBox apologized for becoming so emotional, saying: “That got weird really quick, I’m sorry.” The two of them then moved on to talk about the Smash gameplay at the Dreamhack tournament. It was a fleeting moment that let all us Smash eSports fans see just how strong a top player’s motivation was going into one of the year’s biggest tournaments.